PARIS — Selectman Scott Buffington advised board members Monday night local property taxes could increase if federal and state funds for Oxford Hills School District’s prekindergarten program eventually cease. Buffington said he attended a School Administrative District 17 budget meeting March 13 and the projected increase in Paris’ assessment for 2019-20 stood at between $177,000 and $273,000. Costs associated with the prekindergarten program, however, could significantly raise the town’s assessment to SAD 17 if federal and state funds are withdrawn in fiscal year 2020-21, he said. Buffington said the cost to implement the program is $1.1 million annually. A combination of federal grants and state money puts the cost for SAD 17 at around $128,123. “Where it gets us as taxpayers is when that federal grant runs out,” he said. Buffington also said the SAD 17 Budget Committee did not know until recently that the program would receive federal funding for 2019-20. But it is not clear if that money will be available for 2020-21 and beyond. Buffington noted the town’s assessment from SAD 17 has taken an unsustainable trajectory. According to SAD 17’s website, the prekindergarten program is a collaboration between the school district and Community Concepts. The programs offers services, including nutrition, family engagement and support, mental health services and culturally and linguistically responsive outreach and communication services, the website says. 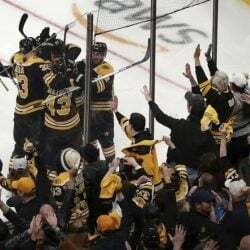 Bruins kick off playoff series against the Blue Jackets on Thursday.